Chloe Shepherd and Matt Masen have been best friends since they were kids. But when they share a passionate kiss after a high school graduation party, neither know exactly how to react. Five years later, Chloe is just launching a successful career as a Broadway dancer when Matt gets a job at the exact same theatre! Despite having not seen each other since that fateful night so many years ago, their spark is immediate-and overwhelming. Incredibly naive, Chloe is still unsure of Matt's feelings for her. Any attempts to fight her growing attraction are immediately put to rest after a passionate confession leaves them both head-over-heels. But soon obstacles threaten the happy couple in the form of Matt's vengeful ex-girlfriend and an eager outsider who wants nothing more than to make Chloe forget all about Matt. 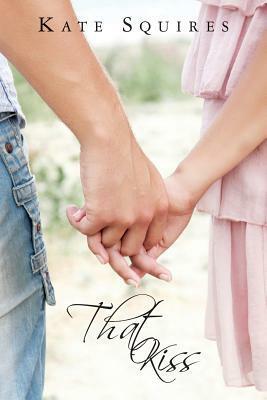 Can Matt and Chloe wade through the lies and find their way back to each other? Or is their relationship over before it can even begin? Kate Squires was born and raised in Ohio where she still resides with her husband and children. She has always loved writing but never, ever thought her life would lead to sitting in front of her laptop for hours on end creating stories other people would read some day. As a child she hated reading until a certain trilogy turned that all around for her. Now she can’t get her hands on enough books. Kate has dabbled in all sorts of odd jobs ranging from dog groomer to dance instructor and even a chicken farmer, but her true passion is creating characters out of thin air and making them do her bidding.